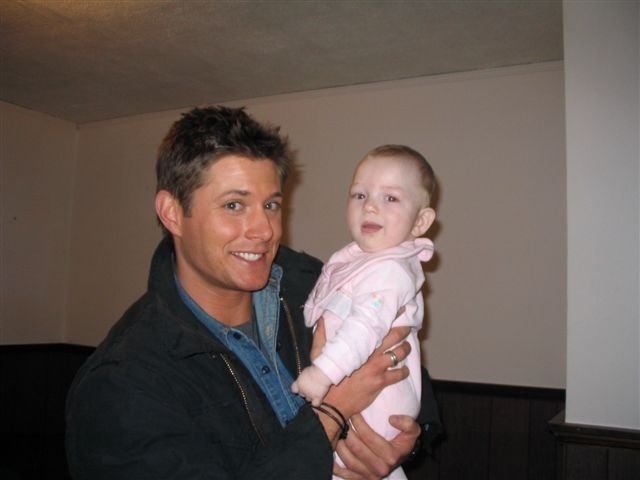 jensen holding baby from S6E02 - Two and a Half Men. . Wallpaper and background images in the Jensen Ackles club tagged: jensen ackles.